In 1930, Minerva Hamilton Hoyt created the International Deserts Conservation League to promote the conservation of desert lands worldwide. Her tireless efforts led directly to the establishment of Joshua Tree National Monument in 1936. She was perhaps the first great desert conservationist. The Minerva Hoyt California Desert Conservation Award recognizes annually individuals or organizations that have worked to further Mrs. Hoyt’s legacy by making notable achievements in the areas of leadership, protection, preservation, research, education, and stewardship of California’s desert lands. The award seeks to recognize an individual or persons whose efforts lead to a significant and lasting contribution on behalf of the deserts of California. 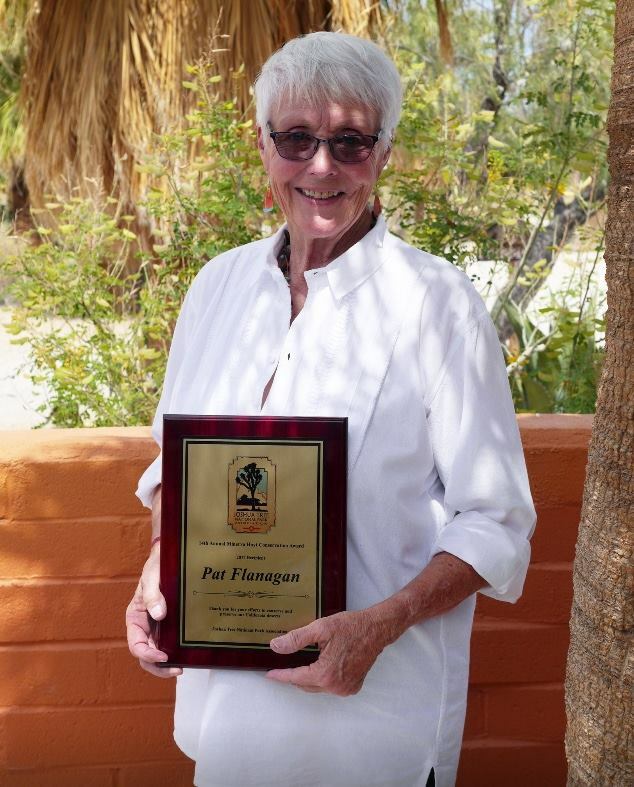 Any person or group is eligible to receive the award except for Joshua Tree National Park Association (JTNPA) board of directors or staff and members of their immediate families. Non-residents of California are eligible but nominations must be for conservation accomplishments in the California deserts. Candidates must be at least 18 years old. The Joshua Tree National Park Association oversees the annual nomination and selection process. Nominations will be accepted from any interested individual or organization, but self-nominations will not be considered. Joshua Tree National Park Association staff reviews all submissions for eligibility, and qualifying nominations are forwarded to the Minerva Hoyt California Desert Conservation Award selection committee. Joshua Tree National Park Association is a private, non-profit Cooperating Association working in partnership with Joshua Tree National Park to help in its achievement of programming goals in education, interpretation, scientific, and historic research and activities.